did you read a good book, lately? 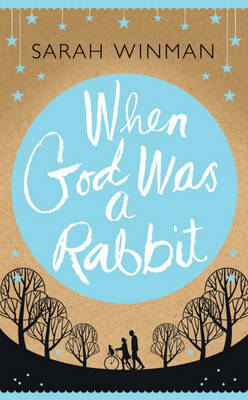 the last one I read and liked (very much) was "When God Was a Rabbit" by Sarah Winman. I could see the story like a movie in my head. it reminded me a bit of "Die Mitte der Welt" ("Centre of My World"), the great book Luise recommended. this looks good! I just read Cutting for Stone- which was really good too. last sunday, I read "rubinrotes herz, eisblaue see" ("red ruby heart in a cold blue sea", another of Luises tips) in one piece, while lying in the sun/garden all day. I don't read a lot of fiction, so I can recommend two non-fiction books: "The Immortal Life of Henrietta Lacks" (really good!) and I also recently read Patti Smith's autobiography, which recounts her early years in NYC with Robert Mapplethorpe, called "Just Kids". I found it very moving and inspiring in an inexplicable way! thanks, Kristen and Susan, I will look out for your recommendations!